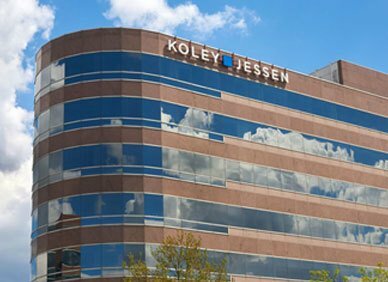 The Koley Jessen M&A team of 21 attorneys has closed over 350 deals across nearly 40 states and 9 countries in the last five years. The core team is supported by an additional 20 subject matter experts who provide support on specific aspects of deals, including, employment, benefits, environmental, real estate, banking, litigation, intellectual property, and health law. The M&A Advisor has previously recognized two members of our team, Eric Oxley (2016) and Anshu Pasricha (2017), as Emerging Leaders. That award recognizes their significant level of success before the age of 40 as a legal advisor in the M&A industry in the United States. Koley Jessen is a strategically growing law firm serving the needs of middle market clients around the country. For business owners, strategic acquirers and private equity firms, we are active partners who provide multi-discipline counsel and get deals done. We provide clients with Wall Street level service and leverage our Midwestern sensibility to excel in the middle market.